At Dominator we take pride in being perfectionists, specializing in custom, antique, classic, race, pro-touring and pro-street vehicles. Our highly qualified professionals consistently deliver outstanding craftsmanship in all automotive services we offer. decide what’s affordable - call us! Beautiful automobiles that incorporate race inspired power and function are hallmarks of a Leonard Lopez design by Dominator. Our creations are consistent national show winners and have been featured in many publications that receive international acclaim. More than a stunning piece of automotive art, every Dominator built vehicle delivers unparalleled horsepower and impeccable handling. Full custom builds allow the designer, fabricators, and owner to all add their creative input and skill to create a dynamic show piece that will win shows and races all day. Nothing compares to a complete custom Dominator build. We can perform everything from basic repairs to complete hand crafted custom creations using higher than OEM quality materials for any application. We use only the highest quality wiring, connections, looms and insulation. All connections are soldered and heat shrunk for superior performance, safety and longevity. 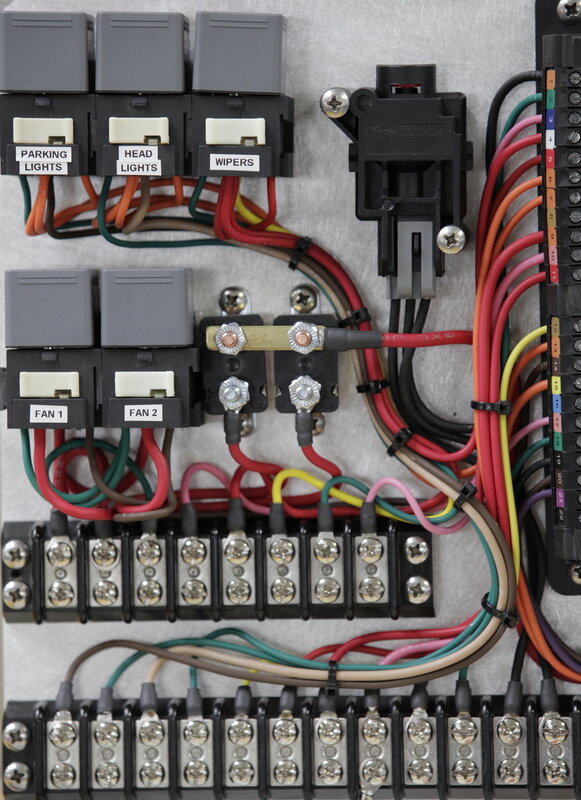 Our electricians can design and hand fabricate entire wiring harnesses and systems that emphasize safety, accessibility, and reliability. Our exhaust systems are custom built by hand for any race, street, or show application including motorcycles and off road vehicles. Systems made with either steel or 321 stainless steel. Systems designed to accommodate the steering column, ground clearance, suspension modifications or engine swaps. All stainless steel headers are TIG welded and back purged to ensure an even and complete union that will never fatigue or leak. We hand craft our tuned systems with equal length primary tubes out of mandrel bent u-bends for dynamic sound and performance. We hand fabricate our stainless steel mufflers in house to accommodate all custom applications. We TIG weld Low Back brand inserts to our custom muffler housings that are designed in house for your unique application. All of our mufflers are TIG welded and back purged and come with a lifetime guarantee on craftsmanship. We work with most insurance companies to restore your custom, vintage, race, or antique car back to its pre-accident condition or better. All work (body, paint, chassis and electrical) is done under one roof to ensure quality and consistency of all work performed using OEM parts whenever possible. All work is performed by automotive restoration professionals, with the utmost attention to detail. We can repair everything from door dings to complete rebuilds.